WELLNESS is not the absence of disease or the opposite of illness; WELLNESS is rather the presence of well-being and the culmination of life and health-giving practice that include mindfulness, self-compassion, energy, and all that contributes to thriving. Is this the kind of wellness you desire for yourself? If so, then it’s important to start with a vision. When we talk about a vision, the common question is asked: Where do you see yourself one year from today? How about 5 or 10 years down the road? When the vision is particular to your wellness, it’s how you see yourself thriving in the future. Why start with a Vision? In the past, I’ve never considered writing a personal vision. I didn’t fully grasp the nature of it and was even skeptical of the idea. Although, I understood why it’s necessary for organizations and businesses to have one. It gives a company clear focus and direction. It’s the guiding North Star to ensure the right path is taken. If a vision works for an organization, why not for an individual? For me, I had to first believe in the power of a vision. I wanted to have proof if this actually worked! Fortunately, we now have the internet to give us real-life examples of successful people who has taken advantage of this powerful tool. One that seems to appear in many of the articles I’ve read is Jim Carrey. We all know Jim Carrey as the quirky comedian in Dumb and Dumber, the Mask, Ace Ventura, etc. – many of which I’ve seen. Guess I’m a Jim Carrey fan! But what I didn’t know was how his vision led to his success. In this interview with Oprah, he explained how he wrote himself a $10 million check for services rendered on Thanksgiving 1995 and kept it in his wallet. A few years later, right before that date, he was casted for Dumb and Dumber and made approximately $10 million! The part about achieving is where the hard work comes in. When our eyes are set on a vision, a guiding North Star, we do our best to discover ways to reach it. Even if it means encountering failure. We treat the actions as an experiment to which some will work and some will fail. What are your top five values? As an ACE Behavior Change Specialist, I learned this exercise on how to identify your top values. It’s a simple exercise where you sort through 100 cards with a value listed on each card and place them on a pile based on each value’s level of significance. To find out more you can check out this link – Personal Values card sort. Once you’ve identified your top five, it’s time to deeply examine why these values mean the most. Take the time to determine your reasons. Then, you can apply these values to develop a Powerful Vision. They remain the same today. In fact, my intention for this year is GROWTH! Head to this previous post to find out more about it. With regards to family and purpose – as a mother, I want to provide my daughters a nurturing environment where they feel loved and appreciated. I also aim to nourish their minds and body so they grow up to be healthy, creative, independent, and capable of making the right decisions for themselves. Imagine the vision of your future self as already occurring, therefore when you write down your vision, make it in the present tense. I understand this approach might sound uneasy but this is where the belief starts – the words you pen on paper. Additionally, include a ‘motivator’ within your statement. The motivator is your WHY. Why would you continue to pursue your goals towards this particular vision even when faced with a huge setback? These motivators will most likely be connected to your deep personal values – which you already know after you did the exercise previously mentioned. 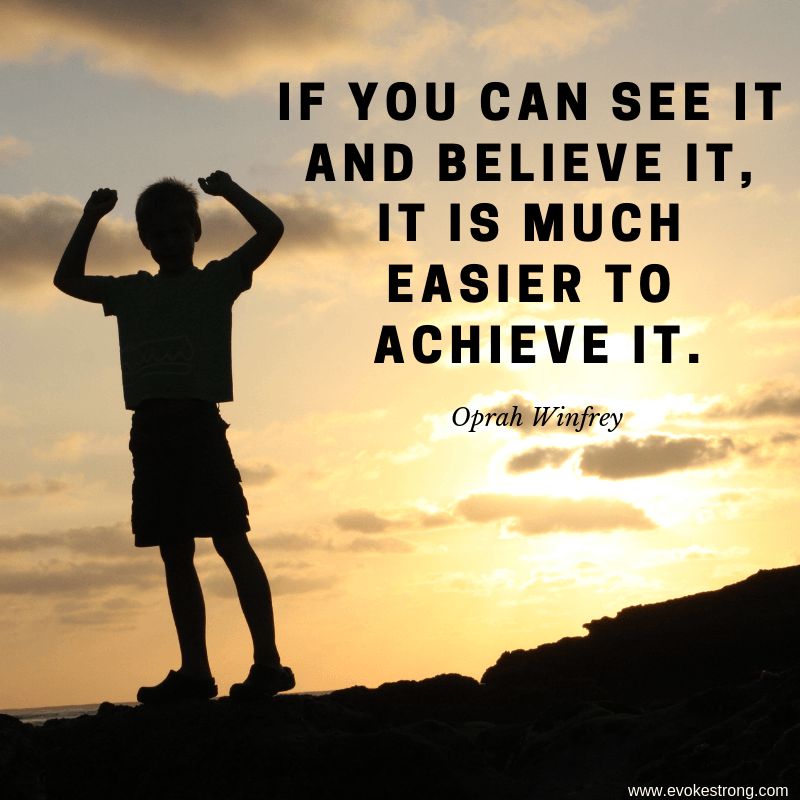 Have you written a Vision statement and designed your goals to achieve your Vision? Would you like to share your Vision statement? Journaling does help! I’ve collected so many journals from doing it since I was a young kid. I keep a fitness journal and I write all of my workouts in it. I like to write down my workouts so that I can see what I have done, what I can improve on, etc. I find when you take the time to write and self-reflect, you are able to get more out of what you’ve experienced whether it’s good or bad. 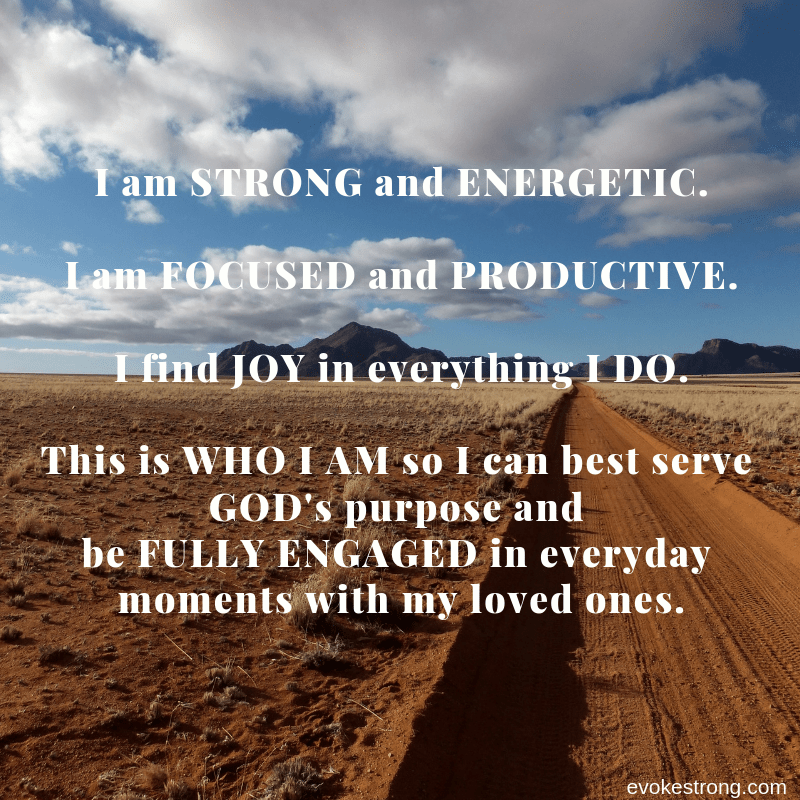 So interesting that you posted this – I’ve been working on my mission and vision statement. I really like the statement you created. My blog is kind of my fitness journal LOL I do a lot of list-making (I guess it’s like bullet journaling) during my free minutes. It really helps to get the thoughts & ideas down on paper. I know envisioning works because it has manifested in my life many times. Great and informative post. I love this , I am definitely someone that has to “see” it! I am definitely a note-taker and a journal-writer. I always do better when I physically write things out, even if I never look at them again. The act of writing is the things that keeps me on track. I am constantly writing down notes and little goals, but I really like this idea of setting a vision. I will have to check out that card set – it sounds like a great tool.